Are you one of those marketers who has a monster size list? Then it could be the perfect time to do an email clean up. Having one big list can create a world of complications. Plus, you know sending one mass email campaign never gets as many opens and clicks because they are not very personalized. When you downsize your email list, don’t think of it as eliminating the number of subscribers. Think of downsizing as sending to quality over quantity. See my article on benefits of downsizing your email list. 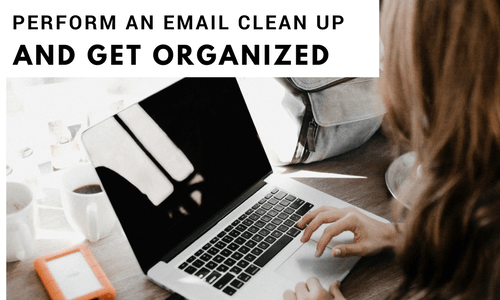 What does cleaning up your list mean? Performing an email clean up means you eliminate email addresses that are inactive on your list. This could mean email addresses that are hard bouncing, email addresses that are not engaging, and email addresses that are hazardous to continue to send to. After you clean up your email list you can expect a smaller amount of subscribers, but the results will equal much more engagement. More engagement is likely to lead to more sales so this is definitely what you want more of. If using our tools at XVerify here is what we do. Once you use our email verification service we can do a majority of the bad email address removal. I also would encourage you to identify subscribers on your own list that have not had any activity engaging with your emails in over the last three months. It’s recommended because it is likely when users are not engaging with your messages, they will eventually begin to hard bounce or generate complaints. You don’t want to face these risks as they will end up damaging your sender score. The next step is to get organized. As we mentioned in the beginning, you don’t want to send a one size fits all type of email. It’s best to have a little more details about your users so that you can segment them better. Segmented emails are proven to drive more results. One of the easiest ways you can start is by learning what got your user most interested to begin with about your site. You can use page-level targeting to identify which page triggered them to input their email address. With that being said, you can more easily craft emails to them around specific products. Especially if you know they have not yet made a purchase. These may be better known as lead nurturing emails. Therefore, you have an idea of what your user is interested in and you are gently following up. So put your email subscribers into different categories so you can maximize your marketing efforts. Perform an email clean up quarterly and validate new incoming data in real time to reduce risk.